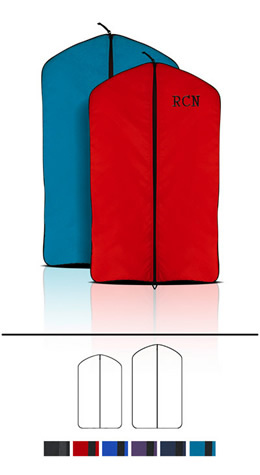 Our Nylon Suit and Dress Bags are ideal for light travel or storage requiring room for one or two garments. A full-length frontal zipper allows you to insert a garment on a hanger, zip it up to the top, and transport holding the hanger hook. A convenient loop at the bottom allows you to fold the whole ensemble and hook it over the hanger hook.